Ford’s Steering Wheel of the Future?? 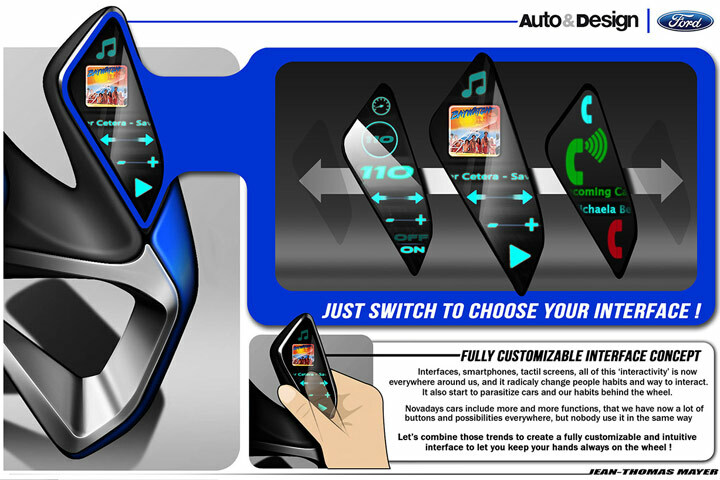 A few months ago, DEVELOP3D magazine teamed up with Ford to hold a competition asking amateur designers and students to design the steering wheel of the future. The winner of this competition would then be allowed to spend a with Ford engineers at the firm’s Cologne Design Center in Germany. How about that for a career kick starter??? After months and months of interesting and innovative designs, the deadline finally came last week and the winner was announced: Jean-Thomas Mayer, a French design student. For his concept (seen above), Mayer combines and places all of the necessary functions in today’s vehicles inside of the steering wheel. These functions are then placed on dual touch screens that display not only the functions, but also infotainment, phone, and driving information. Now, for some, that may seem a bit convoluted. But don’t worry. Mayer’s system allows each driver to customize their wheel’s interface to help them maximize their comfort with the system. 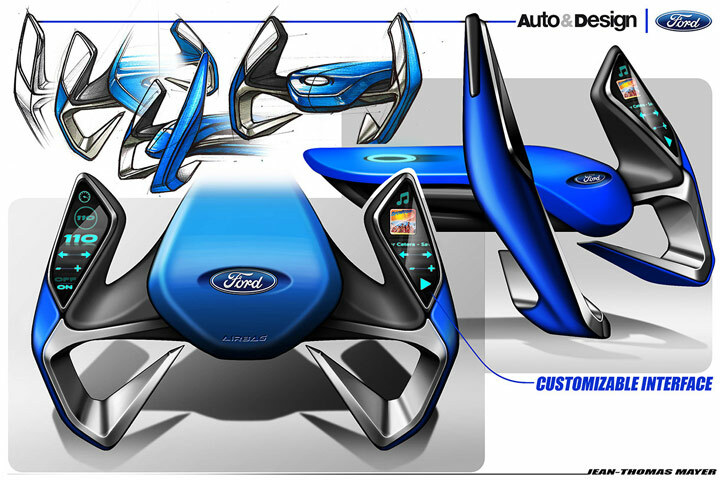 This entry was posted in Culture, Ford and tagged auto and design magazine, contest, develop3d, ford, Jean-Thomas Mayer, steering wheel. Bookmark the permalink.